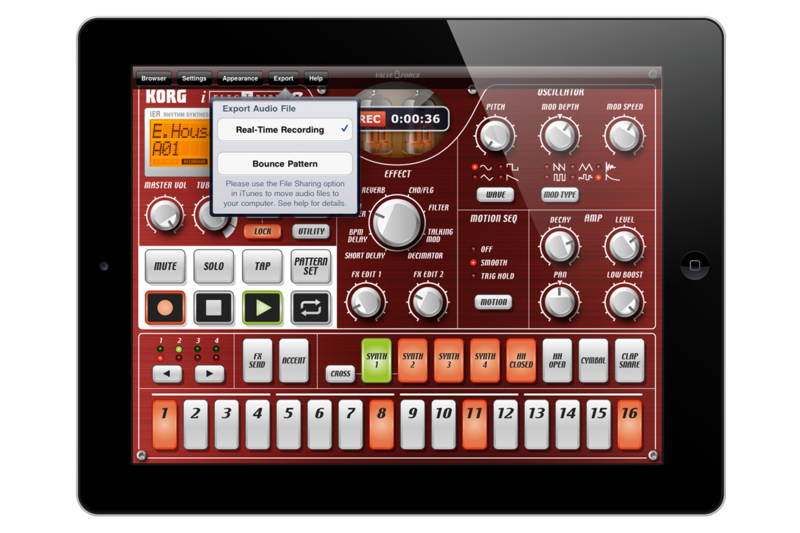 Korg releases iELECTRIBE, the world’s first dedicated iPad musical instrument app! 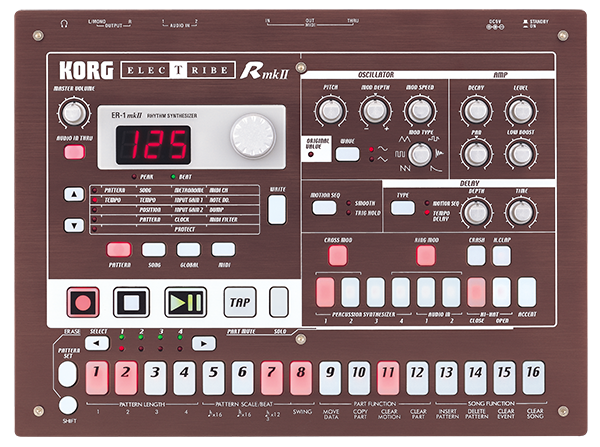 For over a decade, Korg’s ELECTRIBE•R has been a must-have item for dance and creative electronic musicians around the world. Now, you can take the power of the ELECTRIBE•R with you with iELECTRIBE, the world’s first dedicated iPad musical instrument application, bringing the fun of analog-synth style beat making to your iPad. 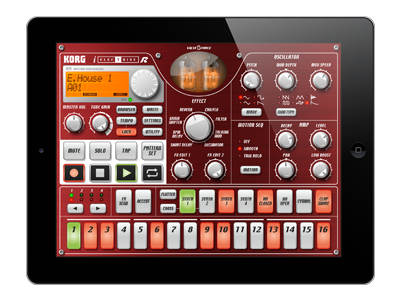 Since its debut in 1999, the aggressive sound, unique functionality, and intuitive beat-building style of the Korg ELECTRIBE series has continued to make it a favorite of creative artists around the world. 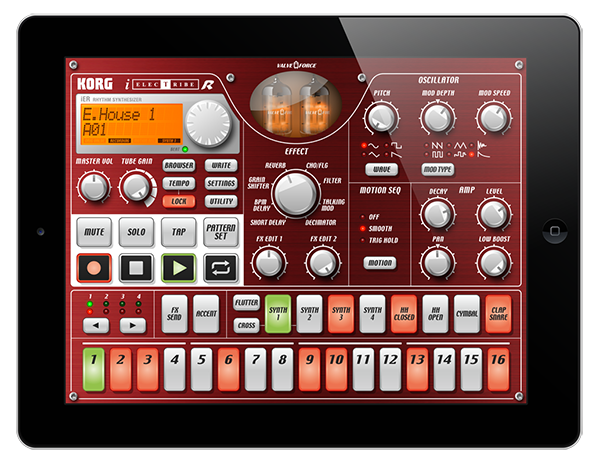 Over the years, the ELECTRIBE series has continued to evolve in new directions. The vacuum-tube equipped ELECTRIBE•MX and SX went on sale in 2003, followed by the updated MKII versions of the ELECTRIBE•A and ELECTRIBE•R. 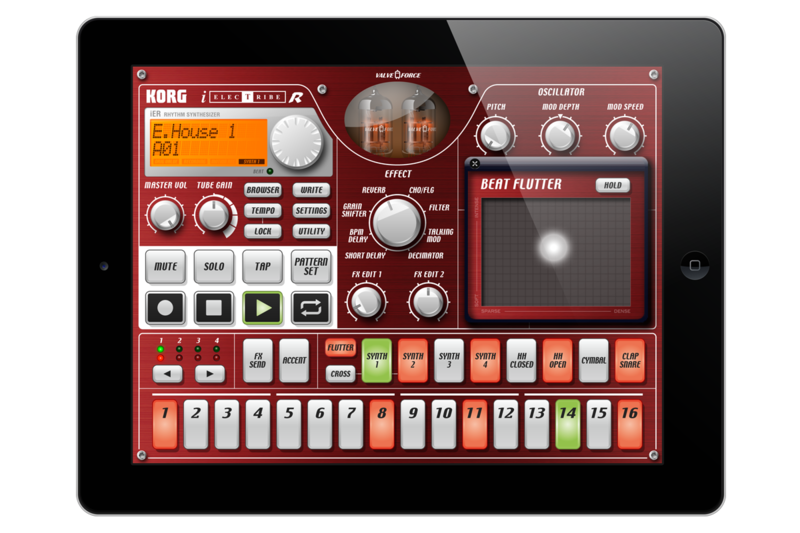 The year 2010 marks another chapter for the ELECTRIBE family, with the ELECTRIBE•R now available as one of the world’s first dedicated iPad applications — iELECTRIBE virtual analog beatbox. 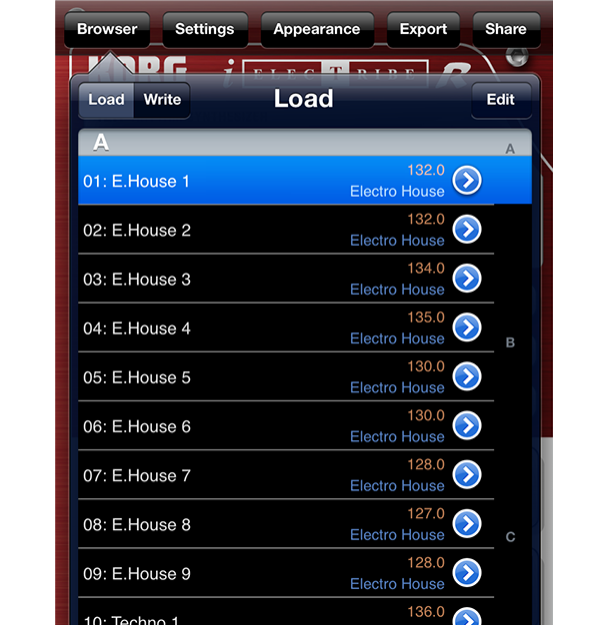 While fun to use, the iELECTRIBE is no toy; it brings to the iPad the legendary capabilities of the ELECTRIBE series. Sound creation is easy and intuitive, just as on a vintage analog synthesizer. Simply touch the step-sequencer’s sixteen individual step keys to quickly build a groove. This simple and understandable interface offers an intuitive “hardware” feel that will captivate the imagination of anyone – those familiar with the ELECTRIBE’s power, and those who are experiencing it for the first time! The unique interface of the iPad introduces musical instrument possibilities never before considered. Taking full advantage of the iPad’s 9.7 inch multi touch display, iELECTRIBE allows users to interact with an incredible sound engine to deliver performances and ways of performing that open new horizons in musical creativity. 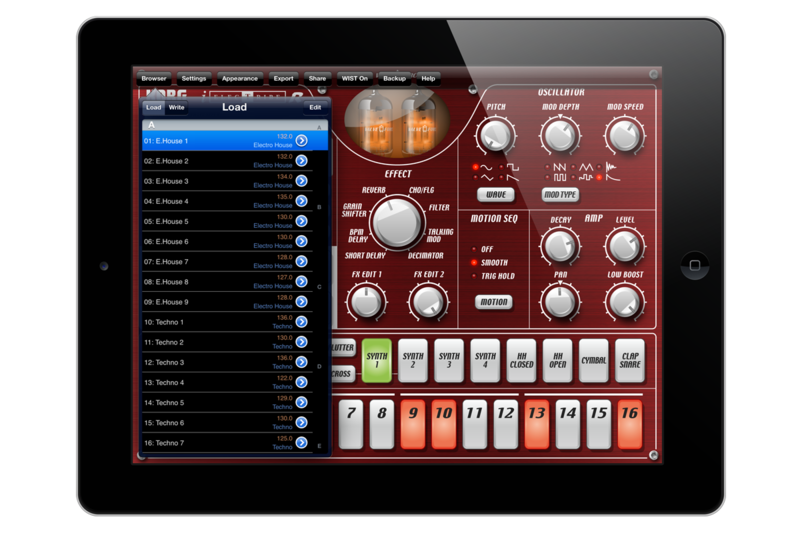 iELECTRIBE is the first dedicated musical instrument app for the iPad! Like the original, the iELECTRIBE offers a four-part percussion synthesizer and a four-part PCM synthesizer. The percussion synthesizer features analog synth-style versatility, including exciting cross modulation! The sample-based PCM parts deliver realistic drum hits, cymbals, and more. Using the Accent function adds emphasis where you need it – vital for creating compelling grooves. All in all, that’s eight programmable parts combined with the easy-to-use 16-step sequencer, anyone can start creating powerful beats instantly! The 64 preset patterns cover a broad range, including familiar patterns from the ELECTRIBE•R as well as the latest new patterns created especially for the iELECTRIBE. They cover a wide variety of dance music styles including techno, house, electro, trance, drum ‘n’ bass, dubstep, hip-hop, and R&B. 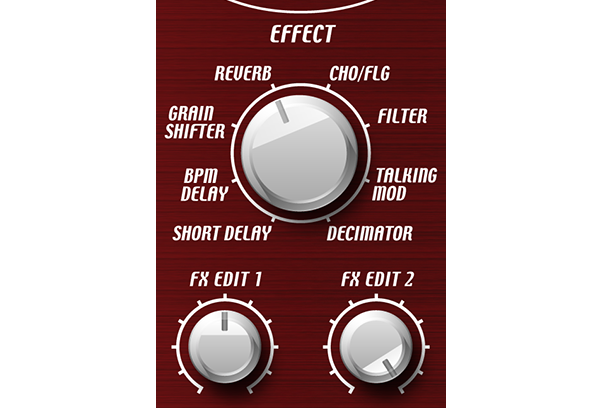 8 Supercharged Effects The number and quality of the master effect have enhanced from the original ELECTRIBE•R, as well as optimized for use in today’s music scene. The eight effect types can spice up your beats in a variety of ways that can become indispensable. Inherited from the flagship ELECTRIBE•MX and SX are effects such as a chorus/flange that fits any type of sound; a tempo-matching BPM delay; plus effects such as a grain shifter and decimator which can dramatically transform the sound. Advanced Motion Sequencing takes the iELECTRIBE to new frontiers Motion Sequencing allows your sound enhancing knob-twisting and tweaking to be memorized and replayed as part of a pattern. The original ELECTRIBE•R was limited in the number of parameters that could be memorized, but the iELECTRIBE can memorize all the parameters for each and every part! This Motion Sequence function goes beyond the original, so you can create diverse and complex patterns like never before.